In a notice published in today’s Federal Register, the CFPB has announced that it has adopted its interim final rule on temporary cease-and-desist orders (C&Ds) without change. The final rule takes effect on July 18, 2014. The CFPB is authorized to issue temporary C&Ds under Section 1053(c) of Dodd-Frank. That provision authorizes a temporary C&D as an adjunct to a cease-and-desist proceeding brought under Section 1053 against a covered person or service provider. A temporary C&D is effective immediately upon service and remains in effect unless modified or terminated administratively by the CFPB or set aside on judicial review. 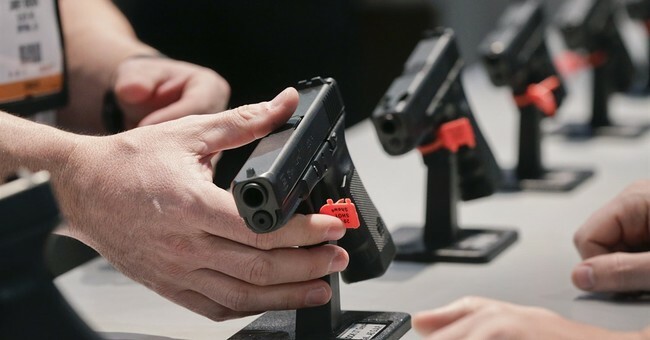 The new rule comes on the heals of revelations the Department of Justice has been smothering firearms dealerships and other "high risk" entities out of business by "choking" banks and stripping funding through Operation Choke Point. "This unprecedented rule created by the CFPB grants the agency unilateral authority to literally shut down any business overnight. It is a doubling down of Operation Choke Point (OCP), the Administration's program to target lawful industries by intimidating banks from doing business with them. This rule allows the CFPB to immediately issue a cease-and-desist order, which terminates all business practices — and a hearing doesn’t have to be granted for 10 days, effectively shutting down businesses for at least 10 days. This is a 'guilty until proven innocent' tactic of the Administration that goes against every historical notion of justice under the law in America." "The Administration got caught with their illegal intimidation tactics in Operation Choke Point, and now they are taking radical steps to ensure the goals of shutting down these lawful businesses are met. This is just the next step in using unaccountable agencies, with their ever-expanding agency powers, to meet the political goals of the Administration. This is a much more efficient way of shutting down lawful industries than just relying on intimidation. It is also no coincidence that this rule was released the day that CFPB Director Richard Cordray finished testifying at oversight hearings on the Hill." "This is a direct attack on every free-market business in America, and every single business should be alarmed. No business should have to operate while questioning daily whether or not they will be the victim of a cease-and-desist order. This will cause uncertainty on Wall Street and uncertainty in the job market, leading to a loss of jobs and devastating the families that rely on them, while irreversibly damaging the economy and threatening consumer choice." I have no doubt a few Senators will have a few things to say about this.The rule can be opposed and overturned through legislation and oversight.